Being trained as a Mechanical Engineer I felt lacking in knowledge on the topic of basic electronic systems, I was looking for a project where I could embark on some self guided learning and further my knowledge in this area. 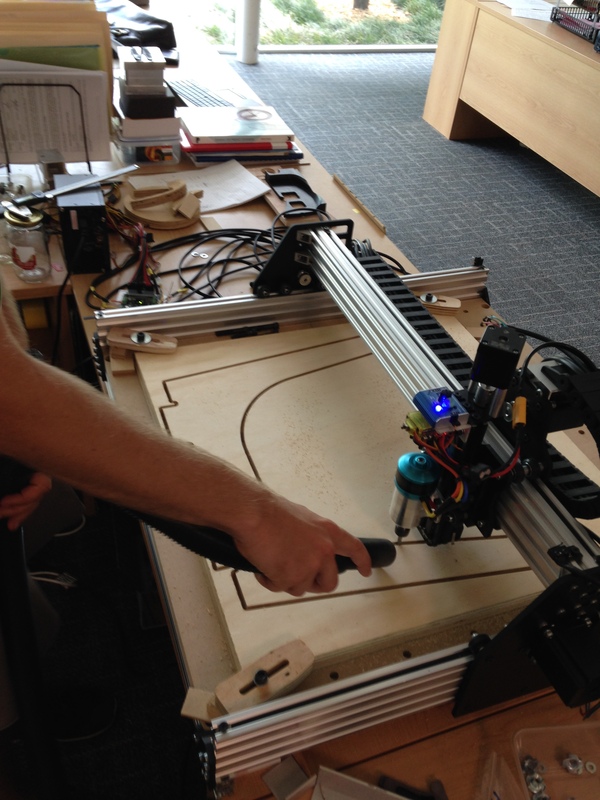 I liked the idea of a CNC router as it combines a relatively complex mechanical system with an electronic system consisting of stepper motors, limit sensors and a motion controller. 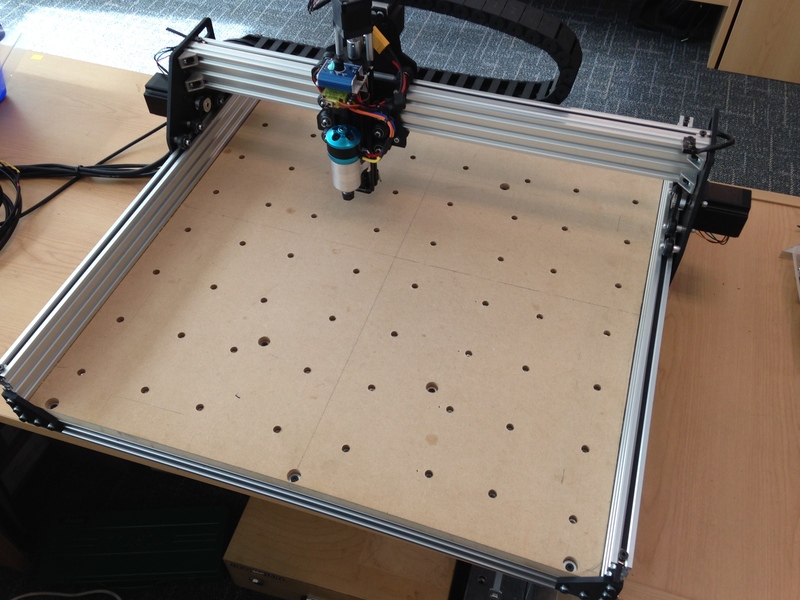 After a bit of research and weighing up the pros and cons of all the options out there I decided on the “aluminium side plate” variant of the Openbuilds OX CNC router. 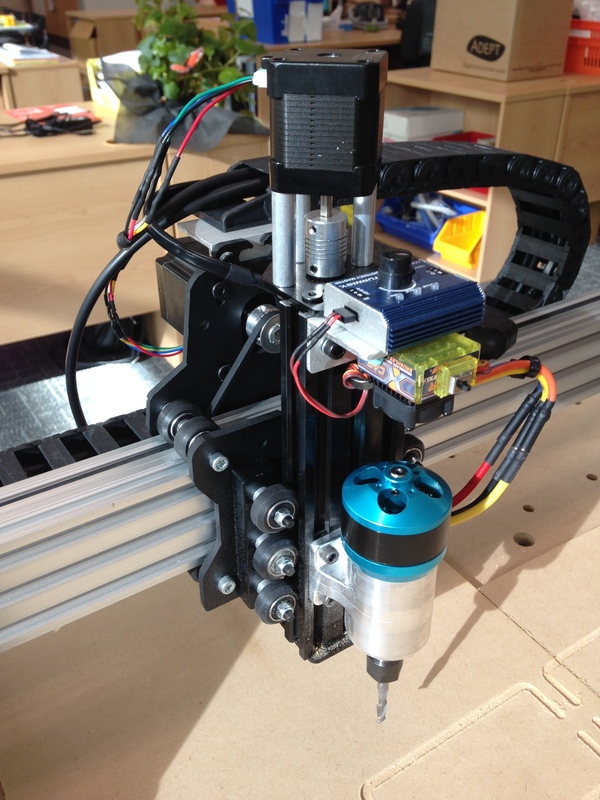 Although having previously operated industrial grade CNC machinery, this project was my first foray into DIY CNC building. 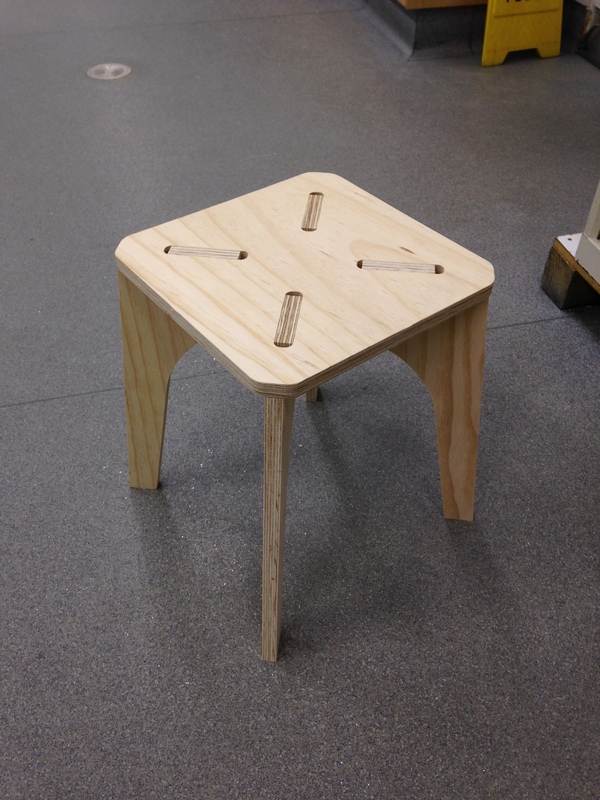 This is wooden stool is an example of one of the prototyping projects that was completed on this machine. When it came to choosing the spindle for this machine, I decided to take the DIY route once again. 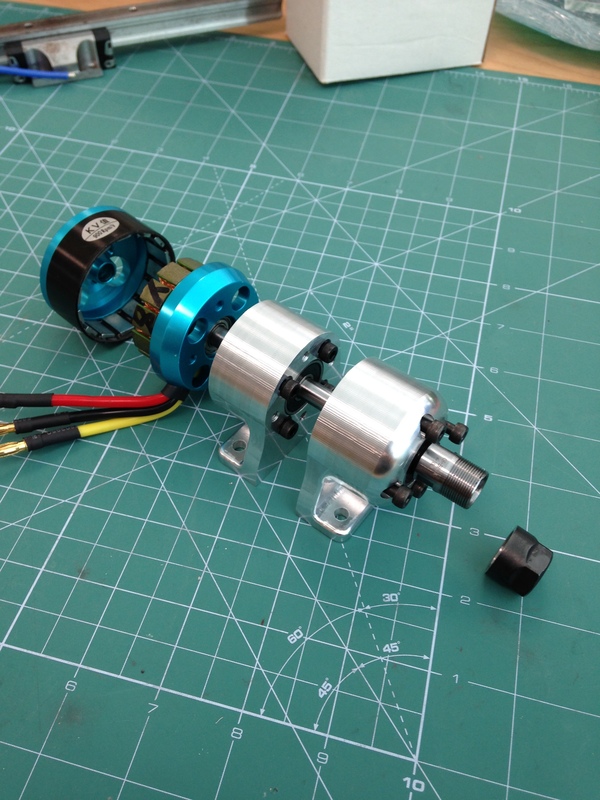 Taking inspiration from Robert Hummel’s 890KV OX RC spindle, this low-cost spindle was born. 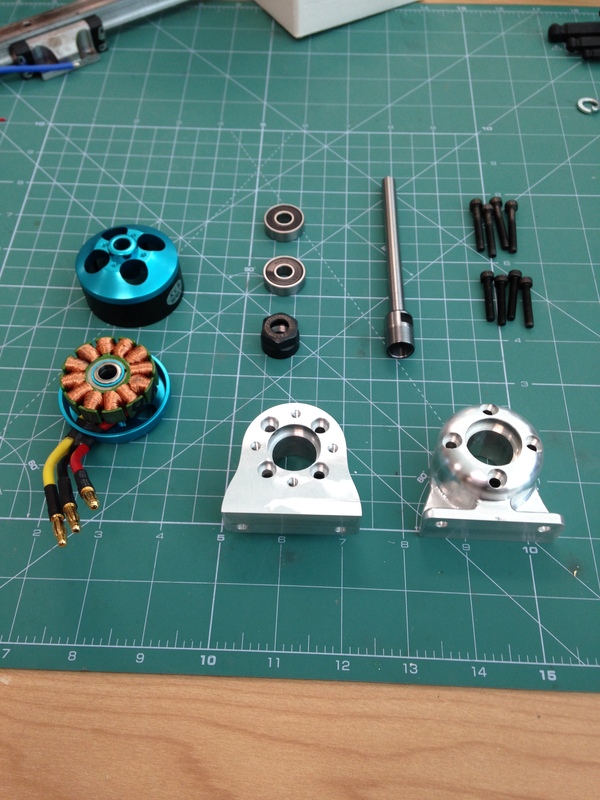 With a custom designed housing, 890kV brushless RC motor and ER11 collet chuck, the spindle was easily capable of rotational speeds of around 11,000 RPM. 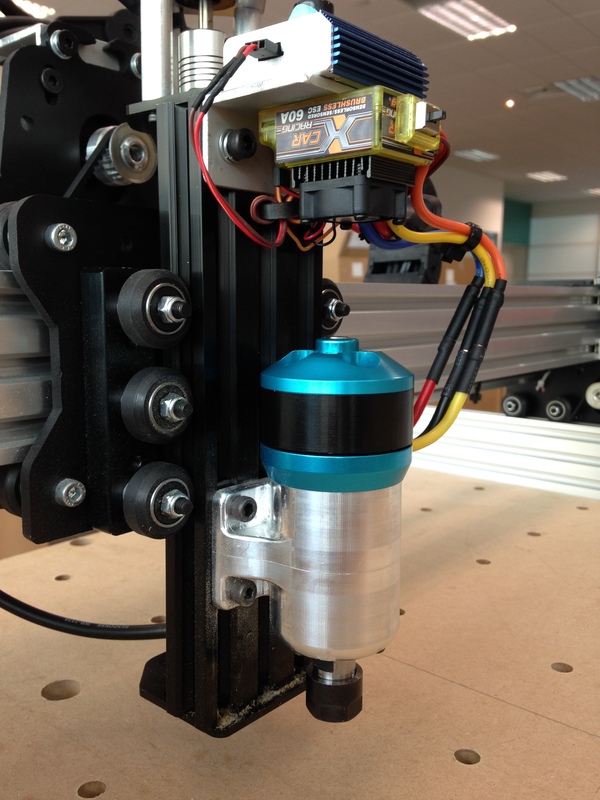 From an early stage there was one critical design issue which let the machine down, the structural rigidity of the the Z axis assembly, which consisted of six plastic wheels rolling on the edges of the aluminium extrusion, this can be seen in the images above. This design relies being able to finely adjust the spacing of the wheels via eccentric spacers and I could never seem to get it running perfectly. This may have been due to (relatively inaccurate) holes in the water jet cut aluminium plates which I purchased, or simply an issue inherent in the design. As a result, the z axis suffered from a fair amount of flex which in turn caused ‘chatter’ whilst cutting. I found that with a 6 mm bit, the maximum depth I could cut in plywood was around 4 mm and cutting in aluminium wasn’t a viable option. The Openbuilds store sells an upgraded version of the standard ‘Solid V Wheels’ which are called ‘Xtreme Solid V Wheels’, these are constructed using a harder polycarbonate material which should in theory result in a stiffer z axis assembly. I really wanted to be able to efficiently cut aluminium plate, so rather than purchasing the upgraded wheels, I chose to invest the money (and time!) into designing my own machine. 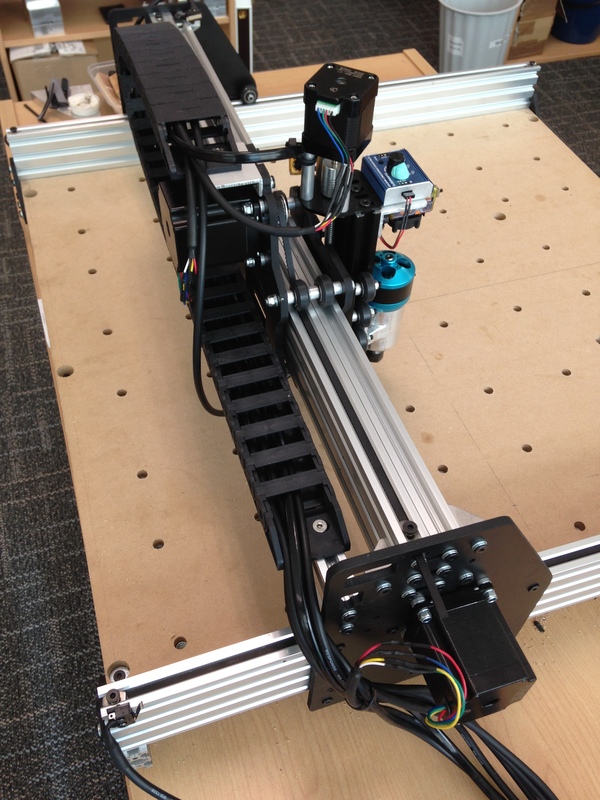 Overall, I was quite pleased with how this project turned out and it proved to be a great introduction into the world of DIY CNC and paved the way for my next project, a fully custom designed DIY CNC Router. Can you tell me which RC motor model you used? Hi Helson, you can see the spindle build details at the link to the original forum thread. 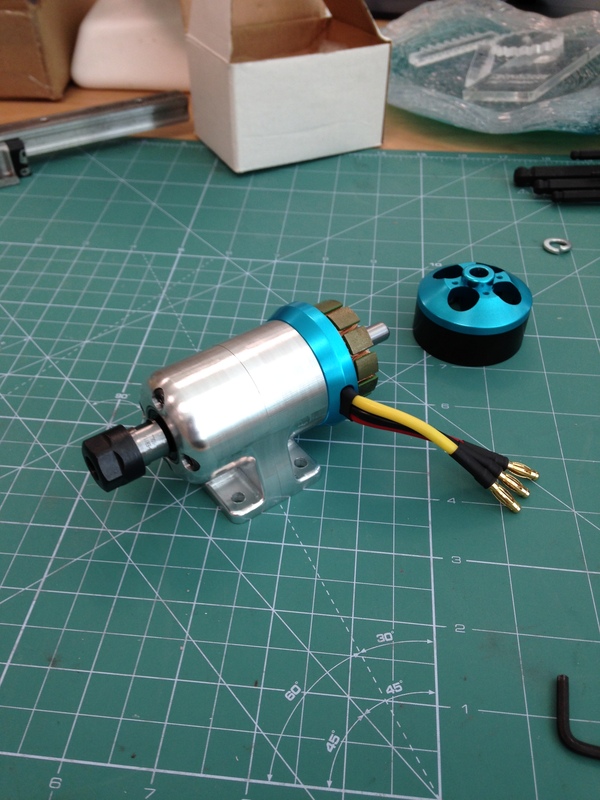 I got an 890kv brushless motor and ER11 collet chuck off ebay and some bearings that fit the shaft perfectly. Just make sure you get a motor that has a shaft diameter which matches your collet chuck shaft. 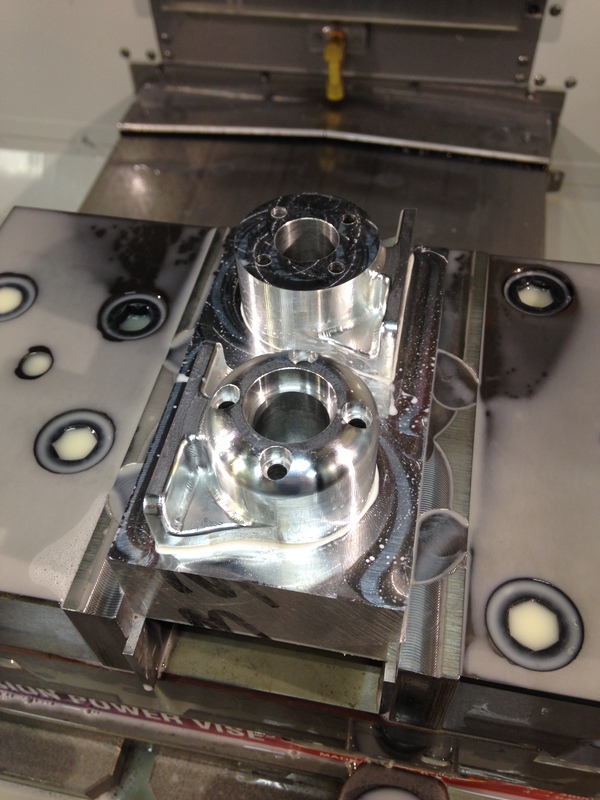 You will need to press the original motor shaft out and replace it with the collet shaft.